PLEASE JOIN US for a Platte River Prairies Field Day on July 13, 2012. The day will include a range of activities, aimed to introduce relative newcomers to what prairies are all about and to allow more experienced prairie biologists/naturalists a chance to interact with a wide range of grassland experts. This is an event that is designed for both professional biologists and the general public. Spend the day with us and learn about prairie species, prairie restoration, and prairie management. Gerry Steinauer, the state botanist from Nebraska Game and Parks Commission, will talk about prairie restoration and help you learn how to identify prairie plants. 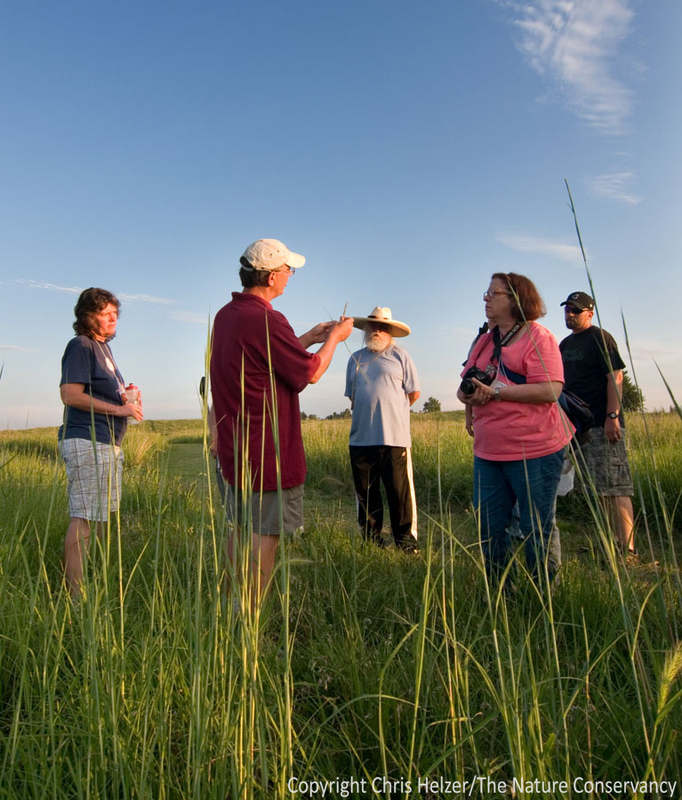 Throughout the day, there will be guided tours of our high-diversity prairie restoration work and fire/grazing prairie management, during which visitors can see the results firsthand and discuss the associated challenges and successes. We hope this will give people a chance to see some of the many options available for doing prairie restoration and management work and provide ideas that could be adapted to other sites. The objective is not to promote the specific techniques we’re currently using, but rather to share what we’ve learned along the way, and stimulate discussion among the group that helps all of us get better at prairie conservation. Tour prairies that are being managed with fire and grazing to enhance their plant diversity and habitat quality. Participate in discussions about the positive and negative impacts of various management techniques on a wide range of prairie species. In addition, we’ve lined up a number of experts on various topics, including prairie ants, spiders, bees, reptiles/amphibians, plants, invasive species, and wildlife management, and those experts will give field presentations on their topics – and will also participate in the tour discussions. This will be a great chance to learn how to identify prairie species you might not be familiar with, and also to learn how those species live and interact with each other. If you’re like me, it’s difficult to learn how to identify tricky species when there isn’t someone there to tell you whether or not you’re guessing right! Also, there’s no substitute for an in-person conversation with someone who is a recognized expert in their field of study. 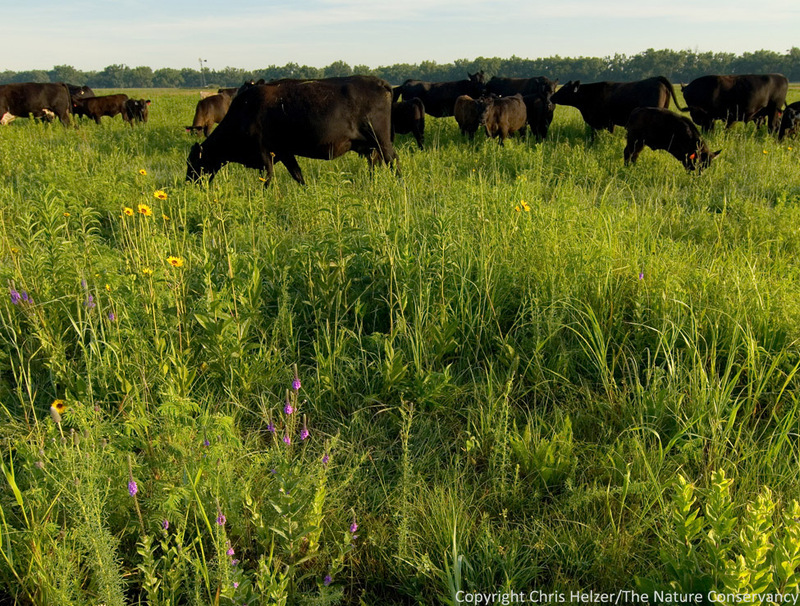 Prairie communities consist of thousands of plant, animal, and invertebrate species. Come and meet scientists who can help you learn to identify – and identify with – a variety of these species. 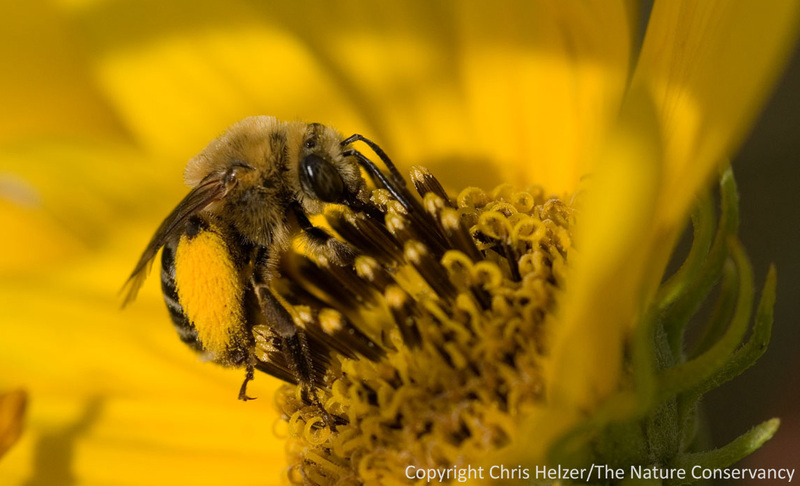 Mike Arduser, from the Missouri Department of Conservation will share his expertise on prairie bees and other insects. There is no cost for attending the Field Day. We are grateful to Pheasants Forever and Prairie Biotic Research, Inc. for helping to cover the costs of the event. We will have some snacks available, and will keep big jugs of cold water, tea, and lemonade so you can fill your bottles as many times as you need to during the day. Please bring a lunch with you – we’ll provide places to sit and eat, and might even have a slideshow by some nature photographer or other during lunch time. In case it gets extraordinarily hot in the afternoon, we’ll have some indoor and shady activities planned as well. Scheduled events will start at 9am and end at 4pm, but we encourage you to come early and stay late. Trails will be open all day, so you can feel free to explore the prairies on your own as much as you like. We would appreciate it if you would let us know if you plan to attend – so we can ensure we have enough snacks and drinks and so we can plan hikes accordingly – but you are also welcome to just stop by. Click HERE to see the official announcement of this event on our website and to get more information. Be sure to click on “Show Directions” to get directions to the prairies. PLEASE NOTE THAT THE BRIDGES NORTH OF OUR PROPERTY ARE OUT, SO FOLLOW THE DIRECTIONS ON THE WEBSITE – DON’T ASSUME YOU CAN GET THERE AS YOU MAY HAVE IN THE PAST. Here is a list of those people who have committed to help lead tours and/or present information at the Field Day. We are still pursuing a few more. This entry was posted in General, Prairie Insects, Prairie Management, Prairie Natural History, Prairie Plants, Prairie Restoration/Reconstruction and tagged ants, bees, demonstration, field day, grassland restoration, open house, plant identification, platte river prairies, prairie management, reconstruction, spiders by Chris Helzer. Bookmark the permalink.